Why do you want to sell? Are you burnt out and are ready for a change or just ready to retire? Or perhaps there are financial reasons and you need the money. Or is it because of personal health or family problems? Ideally you should begin getting ready to sell your business at least a year before you hope to close on the sale. Most Phoenix business brokers agree that it takes between 6 to 12 months to sell a company. Once you’ve made the decision, next determine a selling price. Determining a reasonable selling price is a critical step in the sale process. You should come up with a realistic valuation, so that you and the buyer have similar expectations about your businesses value. Of course there are many factors involved that can affect the value, such as WHY you’re selling. For example a forced sale is likely to drive down the price. An owner–manager forced to sell because of ill health may have to accept the first offer that comes along. Enlisting the help of a professional who knows how to properly value a business is key. A CBR contains all of the facts and figures about your business. Buyers will expect to see certain documents that show your business is profitable and a good investment. As an established business owner, you may already know several individuals or companies that are interested in acquiring your business for either financial or strategic reasons. Instead of waiting for them to come to you, be proactive and reach out to targeted buyers to gauge their interest. For some small business owners, the most satisfying way to exit the business is to sell it to their employees. Finding a good qualified buyer is one of the most time-intensive elements of the selling process. Selling your business typically means two things: parting with something extremely emotional and realizing the value of your most valuable financial asset. These incredibly high stakes make this type of negotiation entirely unique. Some things to consider when negotiating: The price itself is not everything. Terms matter immensely i.e. how is the payout to be structured? Have a walk-away number with an understanding of the range of value you expect for the company. Make strategic concessions if you need to. Know who you are negotiating with, be familiar with the buyers true motivation. Do your homework. You should never walk into a negotiation without appreciating the buyer’s perspective. And finally, as negotiations progress, it’s easy to get tunnel vision. After all the time and effort spent, it’s hard to imagine walking away empty-handed. But sometimes that’s the best option. Once the buyer has signed off on their due diligence and all other contingencies of the sale have been met, it’s time to schedule the sale closing. There are many documents involved including: escrow documents, loan documents, equipment lists, etc., many unique to a specific business. You will want to use the services of an escrow officer or an attorney. 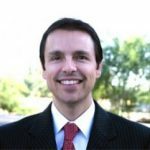 If you have a Scottsdale business broker, they will assist in all of this and also attend the closing. When you sell your business, it’s common practice to provide training for the new owner. The duration of the training period varies from one situation to the next. Training period details should be carefully outlined in the purchase agreement. Most sales include 2-4 weeks of training.